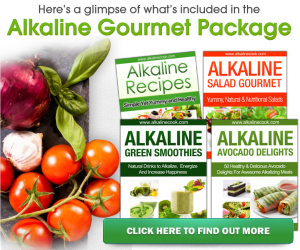 But what people do not know is that there are so many varieties of acid and alkaline appearing in the system that to get any conclusive results about acid and alkaline status. It is still best to read the intracellular fluida test rarely performed. The tissue quality of skin, organs, glands, muscles, ligaments, arteries, and vessels is the determining factor of your health. When acid wastes are not eliminated, they are reabsorbed through the colon, gets filtered through the liver, and end up being re-released into the general circulation. Simply means that you are re-circulating waste, when it is supposed to be cleansed and rejuvenated already. Even measuring a person’s blood for acid and alkaline variations is not an easy task. When acid is introduced into the blood, alkaline minerals from other parts of the body are immediately mobilized to maintain a crucial pH balance of 7.35 to 7.45. The blood cannot tolerate elevated acidity. It must alkalize. The proof of your body’s acid and alkaline condition can best be determined by your own experience, not by peer-reviewed studies, medical establishment support, or static dietary guidelines. may be closer to a 2 ph than a 7.